International Tourist Bureaus issue reserved tickets to the Foreign Tourists and NRIs holding valid passport against payment in US dollars, Pounds, Sterling,Euros and indian Rupees. These Bureaus also sell Indrail passes which are issued to foreign tourists / NRIs on production of valid passport and valid visa.Indrail pass entitles the pass holder to travel as he likes over the entire Indian Railways with out any route restriction within the period of validity of IRP. Indrail pass however, does not guaranty reserved accommodation. The fares of Indrail Passes are in US dollars. The important rules are printed on the Indrail passes. The foreign tourists can also purchase Indrail passes from the General Sales Agents appointed abroad and Rail Travel Agents appointed in India. 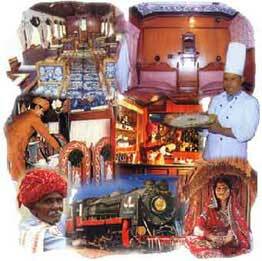 A separate foreign tourist quota has been provided in all classes and almost all the trains for the facility of the tourists. A tourist can obtain reservations against Indrail passes from any reservation office over Indian Railways. In India Indrail passes can be purchased from STIC Travels Private Limited. * These Indrail Passes are hourly based and validity starts from the time of the departure of train. * These passes are valid in one class lower than the class for which they are issued when travelling by Rajdhani Express trains i.e. Half day(12 hrs. ), One day (24 hrs.) or Two days (48 hrs.). Indrail Passes of 1st AC are valid in 2 AC and First Class Indrail Passes are valid in 3rd AC of Rajdhani Express. Rest of the Indrail Passes are valid in the class for which they are issued of all trains. Second /Sleeper Class Indrail Passes are not valid in Rajdhani/Shatabdi Express trains. Indrail Passes are available for sale at major Railway Stations over Indian Railways viz - Agra Cantt, Agra City, Ahmedabad, Amritsar, Aurangabad, Bangalore City, Howrah, Chennai, Chandigarh, Chennai, Gorakhpur, Hyderabad, Jaipaur, Mumbai, New Delhi, Puttaparthi Town Booking Agency, Rameshwaram, Secunderabad, Trivandrum Central, Vadodara, Varanasi, Vasco da gama and Vijayawada. Certain recognised travel agents are also authorised to sell these passes in Delhi, Mumbai, Kolkata, and Chennai. Indrail Passes are sold outside India through our General Sales Agents appointed by Indian Railways in Bahrain, Columbo, Germany, Oman,U.A.E, U.K and Nepal. Travel as you like. Priority on Rail Reservation from Foreign Tourist Quota. Children below 5 years travel free and those between 5 & 12 years are charged half fares. Free meals on Rajdhani Express/Shatabdi Express trains. No sleeper surcharge on Night journey. No extra charge for Travel by Superfast Trains. No reservation fee for berths and seats. Free bedrolls on 1st AC, 2nd AC and 3 Tier AC. For Single Journey you should purchase Half Day/One Day pass as the validity of these passes are for 12 hours and 24 hours respectively from the time you begin the journey.